Math and pizza are two wonderful things not often coupled together, but scientific experts have recently answered a pie-related question that people have been asking for decades: Which size should I get? Pizza comes in many shapes and sizes. The most standard sizes are small, medium, and large, which many parlors offering a monstrous fourth option: Extra large. If you’re entertaining guests, a large or extra-large may work best, but if it’s just you...well, it all depends on how hungry you are. A video from AsapScience explains that by using mathematical equations, you can determine just how much area your pizza has in inches. An 8-inch pizza has about 50 inches of surface area, while a 16-inch pizza – which most of us would think of as being “twice as large” – has over 200 inches of surface area. 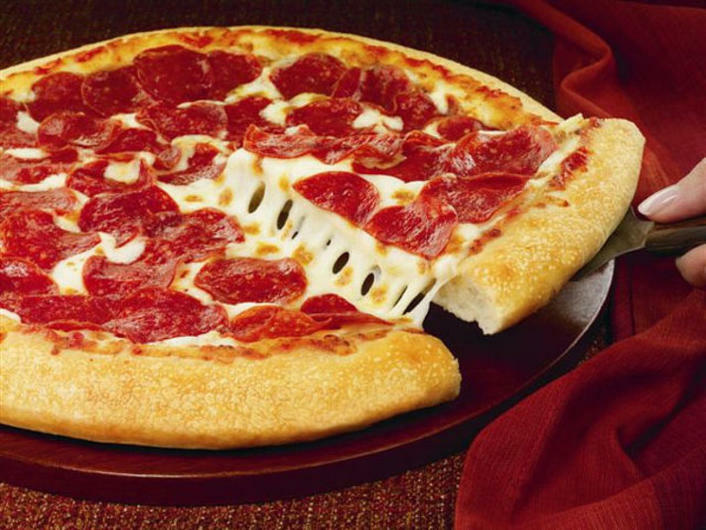 The 16-inch pizza is four times as large as the eight inch, but does not cost four times as much. Often, it doesn’t even cost 2 times as much. And try this on for size: A 20-inch pizza has more area than two 14 inch pizzas or six eight inch pizzas. One 20-inch pizza is also roughly ten dollars cheaper than two 14 inch pizzas. 14 + 14 might be 28, but in pizza world, things are quite different. Who thought math could be so useful?